If you like what I'm doing, and want to throw a little support my way, there are two easy ways to do it. Option One is to be my Patron. 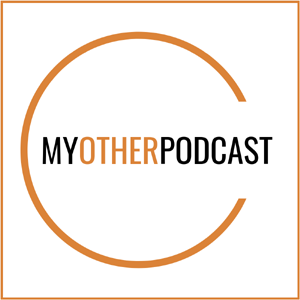 For as little as a dollar a month not only will you be providing me with support, you'll get immediate and exclusive access to my other podcast, called My Other Podcast, which no one other than my Patrons have access to. If you want to go that route, just click HERE and you are on your way. Option Two is to buy me a coffee. If you don't want to commit to a monthly thing, you can do a one time donation of $3.00 or more over at Ko-Fi - Just click HERE. My name is Norman Oklahoma. I’m a private investigator who specializes in the supernatural, the unexplained, and the just plain weird. In other words, I kick the monsters out of your closet and drag them out from under your bed. I hunt the things that go bump in the night and crack them upside the head with the stock of an antique Winchester. I’ve been doing such out of Eudora, Kansas for a number of decades now. I’m on the corner of 7th and Main, just above the coffee shop. Stop on in if you got yourself a pest problem of the monster variety. I’m your man. Most folks, those who ain’t from around here, have never heard of Eudora, Kansas. Doesn’t surprise me. We’re just one of them small towns no one has any reason to visit. Sleepy, quiet, boring. But that’s all on the outside. There are a few of us who know the truth. We special few who know Eudora for what it is. A hotbed of supernatural and paranormal activity, and has been for as far back as my memory can stretch, which is further than you might be prepared to believe. I can’t really explain why, what it is about this place that draws all the monsters and such to our sleepy little corner of America’s heartland, but it does, and that’s why I’m here. See, I hunt monsters. Vampires, werewolves, and zombies, along with a passel of other nasty beasts; they’re all fair game. Now don’t get me wrong, they ain’t all bad. Some of these creatures just want to live as normal a life as possible. They want to raise families, earn their keep, and pay taxes just like any other American citizen. It’s the bad ones you gotta watch out for. They want to be out there doing evil and killing innocent folk? Well, that’s where I step in. And I figured, why drag myself all over the country looking for them, when I can stay pretty busy where I am? So I set out my shingle and got to work. 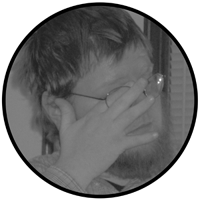 My name is Steeven R. Orr and I am a writer and a podcaster. This is the place for all of my writing type things. I write all sorts of stuff: Rural fantasy, humor, superheroes, short stories, serials, comics, and novels. Beyond the writing I also have a podcast. 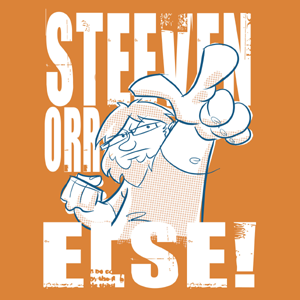 The podcast is called The Steeven Orr Else Podcast and you can find it at www.steevenorrelse.com. It's about comics and other nerd things. But I also work two jobs. I manage a call center during the day, and at night and on the weekends I clerk at a well-known pharmacy chain. I'm married, I have three kids, a cat, and a dog. So, when I'm not helping with homework, or running errands, or paying bills, or working, or spending time with my family, or sleeping, or eating, or using the bathroom, I try and write. When I'm not writing, I'm podcasting. Come join in on the fun. 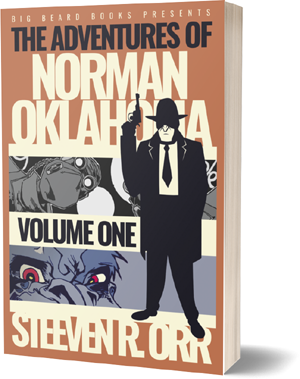 Join my mailing list and get The Adventures of Norman Oklahoma Volume One for for you Kindle, Nook, or any other device. 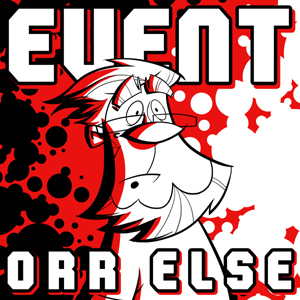 All Content Copyright © 2011-2018 Steeven R. Orr. Powered by Blogger.